IB Security Assistant/Executive Jobs Notification out with 1054 vacancies. Apply Online for new Intelligence Bureau Recruitment 2018 on or before 10th November 2018. Get complete details of IB Security Assistant Recruitment like eligibility, selection process, age limit, pay scale, application dates, examination scheme etc from below information. Good news to the candidates seeking for Central Government Jobs in India. Recently, Intelligence Bureau announced notification with 1054 Security Assistant/Executive vacancies at its portal www.mha.gov.in. Aspirants who have been waiting for IB Recruitment can utilize this opportunity and submit the application form online on or before the last date. IB SA Online portal available between 20th October 2018 to 10th November 2018. Make sure that you satisfy eligibility details as per the rules of Intelligence Bureau to apply for security Assistant Jobs. The conditions which are satisfied by the candidates are as follows. Eligibility is the main aspect to an individual who is going to participate in 1054 MHA IB Recruitment Security Assistant Jobs. Details covered under eligibility are educational qualification and age limit. Along with most of you want to know the other factors such as the application process, pay scale, examination scheme, application fee, exam pattern, syllabus etc. We cover all the details in the following section clearly. As per Notification issued by the Intelligence Bureau, the total no of vacancies available for Security Assistant jobs are 1054. City wise vacancy details are as follows. The Eligibility Criteria of Intelligence Bureau Security Assistant Recruitment 2018 are as follows. Candidates must satisfy eligibility details including educational qualification and age limit as per officials. Please look forward to them. Candidates must possess Matriculation/10th Class from any recognized university are eligible to submit the application form. Go through detailed notification for upper and lower age relaxation details. Along with the details mentioned above, we also harvest other related info like pay scale, important dates, application fee, selection method etc in the coming section. Pay Scale: Pay scale offered by the Intelligence Bureau for the candidates selected in Security Assistant posts are as follows. Selection Process: Successful applicants will be selected based on the method scheduled by IB officials. Tier III (Interview and Personality Test). Candidates who successfully eligible for the IB Security Assistant Recruitment 2018 should be liable to pay the application fee to apply online. The Fee details are here. Note: SC/ST, Ex-servicemen* & female candidates are exempted from examination fee. The Crucial Part of Intelligence Bureau Recruitment is to submit the application form to officials. This IB Security Assistant/Executive Apply Online link will be active from 20.10.2018 to 10.11.2018. So, we advise all that you need to send completely filled applications as early as possible to avoid last minute rush. Here we share an easy step by step process of application form filling to candidates who face difficulty in that. The Home Page will display on Screen. Then search for IB SA Advertisement. Click on it and read all the instructions carefully based on your requirement. Enter all the details without any errors in Part I & part II. Attach all the files as per specifications. Finally, preview the filled application form. Click on submit button and download the application for future reference. Keep it safe till an end of the Recruitment process. We hope that all the details enlisted on this page are as per the basis of Intelligence Bureau officials regarding Security Assistant Jobs. And we regularly monitor www.mha.gov.in, the official website of IB for more latest updates. Keep visiting this page with Ctrl+D for more latest news on IB Security Assistant Recruitment 2018. Thank for Visiting our website RRB recruitment. 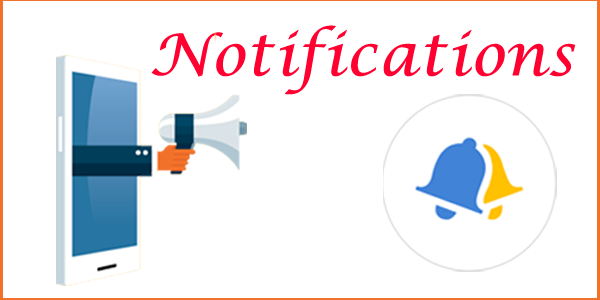 We also share other important notifications on Central & State Govt Jobs. Still, you have any query with you, feel free to comment and we will get back to you soon with the solution. I have done registration bt when start login on official website registration I’d was declare wrong give me a way out to complete application form online. What are roles and responsibilies of this job, net salary? Is this job is risky and slavery to superior officials? I have done with the registration but when I try to log in there is always a server problem. Please help me. I can’t fillup my form…please tell me how should I fill up it? Sir, I completely filled my application form for IB SA/EXE examination and also payment, but I can’t able to download my application form print, so plz tell me how download it.